Pvt. Allen L. Simms, son of Mr. and Mrs. C. F. Simms, attended Grandfield High School; husband of the former Mildred Wise. 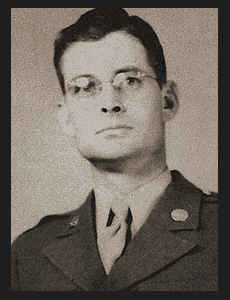 Entered Army in 1942, trained in Camp Wolters, Texas, Ft. Knox, Ky.; was discharged in 1943.